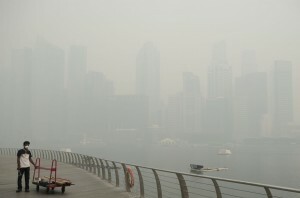 Singapore was stunned after haze struck 321. Singaporeans, as well as the government did not expect this to happen but it happened anyway. The best thing to do is to join hands and look forward to the future. Of course we need to do our part to prevent another haze condition. It is not easy but with collective efforts, we can make a difference at the end of the day. The Prime Minister urged the public, NGO (Non Governmental Organizations) and International organizations to engage in talks about the haze condition. The Prime Minister further explained that the haze condition is not only the problem of Indonesia because it is a regional and global problem. He said that the haze condition is primarily due to industries. These industries want profits so that countries in return gain economic advantage. It is understandable but he said that it is not good that economic reasons succeed over health and nature. Haze poses serious health threats. It can affect the heart, eyes, skin, airways, lungs and nose. For people suffering from chronic diseases, they are advised to stay indoors and avoid physical actions. Kids and elders are also advised to stay indoors. It is important that you inform and spread information about the hazards of haze. You should explain this phenomenon to your children and teens so they may understand it. If PSI hit high, it is better if you stay indoors and avoid going out especially if you have chronic heart or lung diseases. If you really need to get out and work, at least wear N95 masks. It will protect you from inhaling air pollutants that may trigger health conditions.